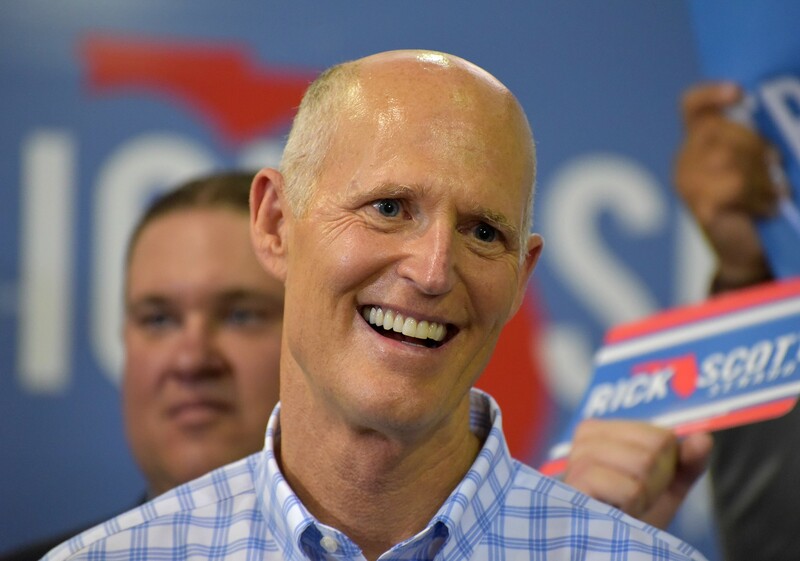 During his eight years serving as Florida governor, Rick Scott kept his gigantic amount of wealth in a blind trust – but as the Tampa Bay Times reported earlier today, that won’t be the case now that he’s a U.S. senator. A blind trust is a financial arrangement in which a person in public office gives the handling of their private business interests to an independent party in order to prevent conflicts of interest. In theory, that means the owner of the blind trust has no knowledge of how the assets are managed. In Scott’s case, it’s a firewall between the risk of him padding his own pocket while in office. But Scott apparently thinks it’s not necessary, noting Monday that he plans to instead report his assets to the public in the annual financial disclosure forms Congressional members are required to submit. By now it’s a well-documented fact that Scott was the wealthiest governor in Florida history. His most recent financial disclosure in June showed that he had a net worth of more than $232 million at the conclusion of 2017. Scott opted to create a blind trust in 2011, but as the New York Times once noted in a headline, the blind trust often seemed to be “in name only” – for instance, it didn’t include $173 million in investments held by Florida‘s former First Lady Ann Scott. Politico reported in September that many of those same investments overlapped with the governor’s own assets in the supposedly blind trust. The Tampa Bay Times also reported in October that Scott had a financial interest in the company that operates the state’s SunPass system. Orlando Weekly reached out to Scott’s office for further comment. No further details were immediately available from Scott, such as when he made the decision and whether the trust has been closed. During Scott’s campaign against three-term Democratic U.S. Sen. Bill Nelson, the former governor declined to comment on whether he’d continue the trust if elected. Now that he’s set to serve another six years as a representative of Florida’s interests at the federal level, it looks like we finally have our answer.